A small, dysfunctional backyard was transformed into a gorgeous space for family fun and relaxing with friends. 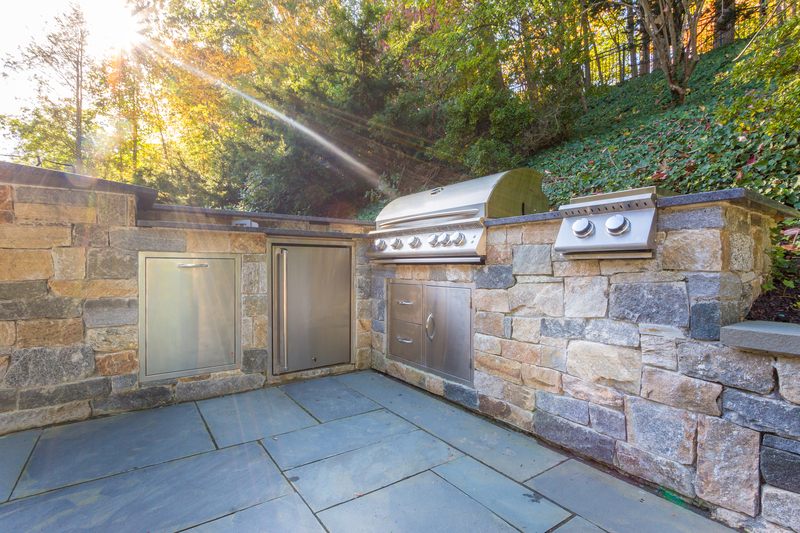 Highlights include an outdoor bar and kitchen complete with stainless steel grill, refrigerator, barstools and solid stone slab countertop. 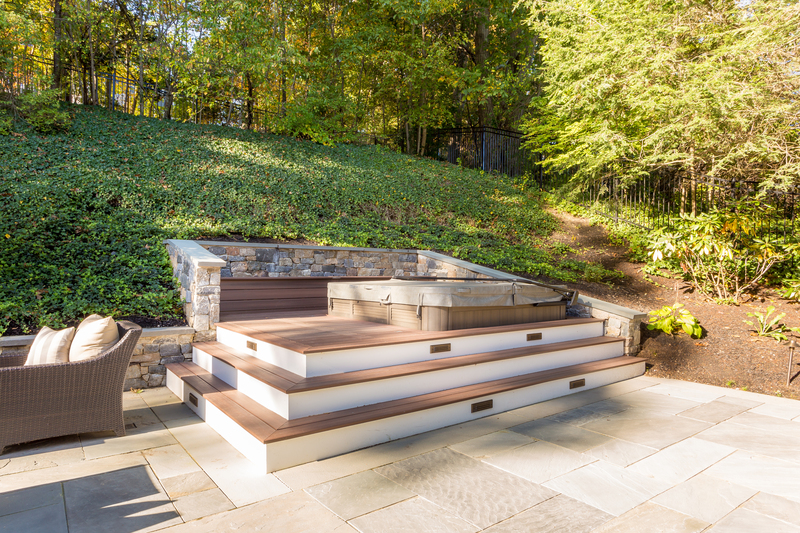 A small deck in the far corner with a sunken hot tub provides ultimate privacy and a wonderful retreat after a long day. 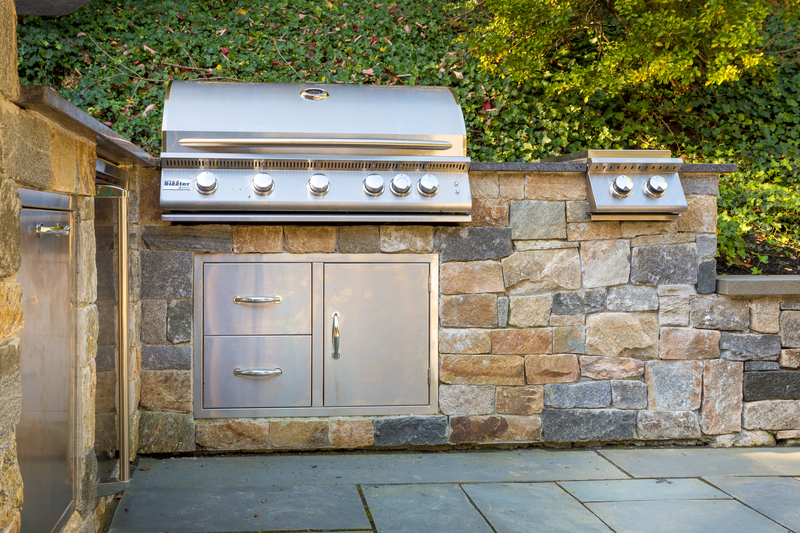 Exiting the hot tub, one can dry themselves next to the propane fireplace, or lounge on the large wooden deck right next to the home itself. 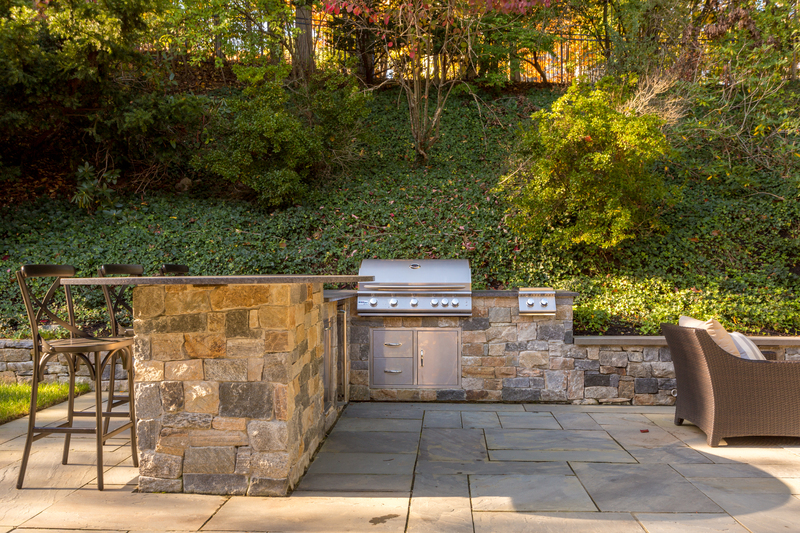 A variety of natural stone materials were used throughout the landscape for the retaining walls, walkways, and the patio. At the back of the yard, they give the impression of holding a gentle, upward sloping hill in place. 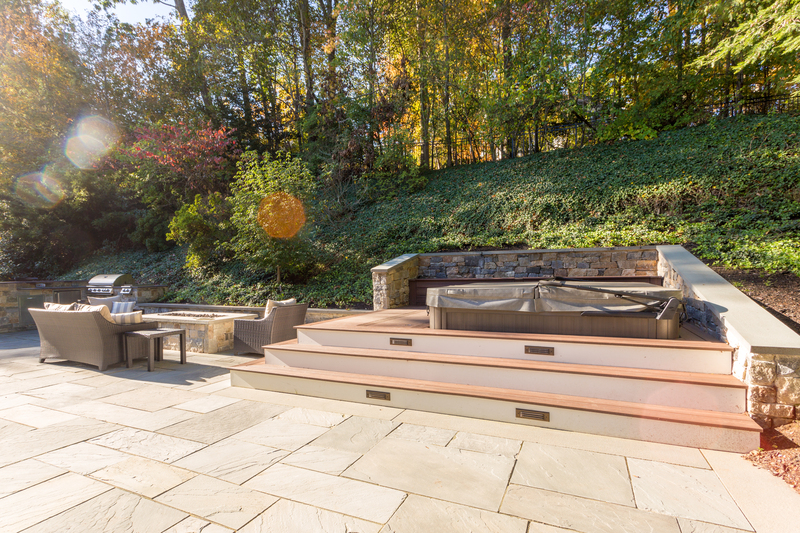 The subtle finishing touches of lawn lighting and irrigation systems polish off the design. This landscape will grow alongside the family!